One of my favorite hobbies is deep sea fishing. Anybody who has ever fished for the big ones on a boat in the middle of the ocean knows the value of patience. A beginning fisherman will strike the moment a fish nibbles at his hook. Not the seasoned angler. He gives the fish time to really chomp down on the bait -- that is when he sets the hook. More often than not, he will land the big fish while the beginner comes up empty. Now a fish doesn't live to record sizes because it is dumb. It becomes as wily and shrewd as the person trying to catch it. 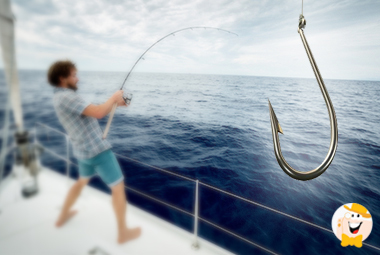 A big fish will play with the hook and then when it is convinced the bait is real will strike. That is the time for a fisherman like yours truly to give the pole a real yank and set the hook as deeply as possible. Horse players need to be just as patient as fishermen when it comes to betting on a horse. While I know many horse handicappers who swear by the Daily Racing Form to come up with their selections, I also know many successful players who never buy a Racing Form. They rely on the movement of the odds to make their choices. Trainers and horse owners along with track insiders bet differently than the public. A horse that is a favorite will generally see a gradual falling of odds from the time the wagering starts until the chute opens. But odds watchers look for sharp drops in the odds during the betting. A drop from 9/2 to 7/2 or 3/1, for example, means that a large sum of money was just bet on that horse. The public didn't do that -- it came from a track insider and maybe even the owner and it's something you should not ignore. When it is two minutes or less to post time, you should also watch the odds very carefully. Generally a sharp drop in odds just before post time is excellent information that the horse is ready to run and that the owner/trainer are backing the horse. A patient horse player will wait as late as possible before making a bet. There are times that I have waited too long and got shut out at the window only to see my selection cross the finish line first. That will happen and it's one of the risks of the game. If you live near a thoroughbred horse track, it could be very profitable for you to pay admission and be at the track for the races. That way you will get extra time before the horses actually begin the race. You will also be able to see if extra place money is bet on a horse just before the race starts. That is also a tip that the horse will be running for the winner's circle. When I go to the track, I bring along a notebook so I can write down the odds as they change. When you keep track of those odds, you can see betting patterns emerge that could prove very profitable to you. It has been my experience that the early betting doesn't mean much. Watch for the late betting and practice patience. Sometimes you can also stand next to the seller's window where the big bets are made. 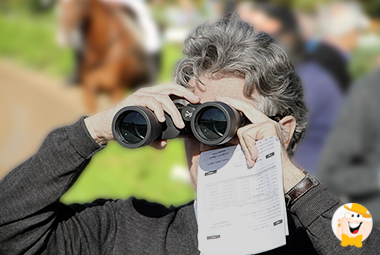 If you are lucky, you will see someone rush up to the window just before the race begins and put a lot of money down on a horse. If you are standing close enough to see which horse the person has bet, congratulations. You are on the road to glory. Be patient whether you are fishing for the big ones or trying to find a winner at the race track. It will pay off in the end.